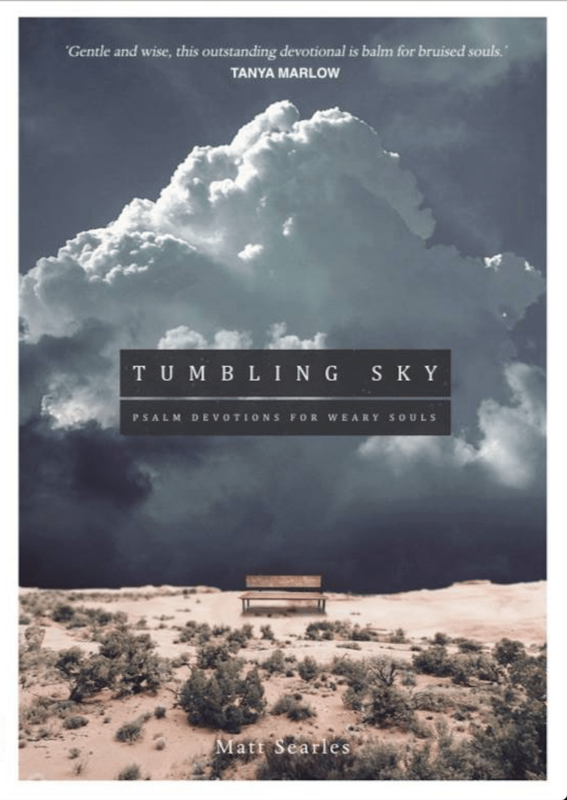 It’s with these revealing words that Matt Searles introduces Tumbling Sky: Psalms Devotions for Weary Souls, a collection of thirty-four short Bible reflections that mirror his album of the same name. 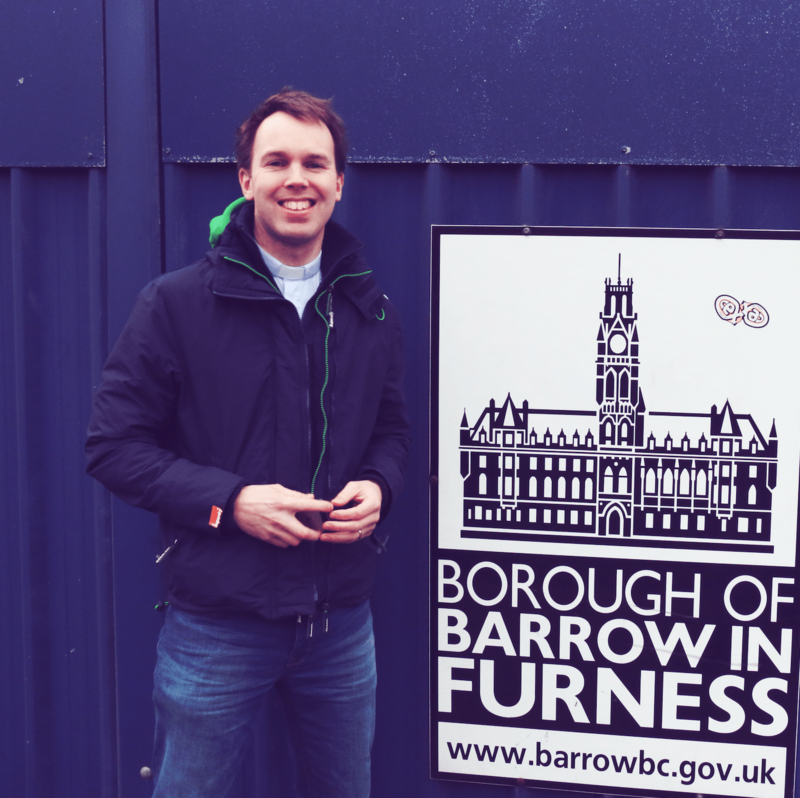 Back in June 2016 I interviewed Matt about that album and he told me how he’d written it to to encourage Christians to keep engaging with God as they walk through the dark valleys of life. Born out of his own struggles with suffering and depression, he wanted to craft music that gave us permission for tears and reminded us that sorrow isn’t a sign of spiritual failure. The distinct thing about all of Matt’s three albums (including Now and Not Yet and From the River to the Ends of the Earth) is that the lyrics are for the most part lifted straight out of the Psalms. The point is that in the Scriptures God himself has graciously given us words to pray back to him; a God-given songbook, if you like. And to have such words is all the more significant during seasons of life when our own words fail. What makes Searles particularly interesting is that he is not a professional musician, but instead occupies the role of Director of Training for the South Central Gospel Partnership, which includes running their Ministry Training Course. Maybe it’s this pastoral heartbeat that meant Searles’ plan was always to accompany the album with a series of written devotions. Thankfully, after a popular Kickstarter campaign gave birth to an initial version, 10ofThose have now published the completed work – and in a smart, slim, hardback format. Searles focuses on ten psalms, breaking each one into smaller portions for each of the thirty-four devotions (most psalms are spread over three or four, which means ample room for digestion). The devotional texts blend honesty and anecdote, with a perceptive attention to the psalmist’s words and the ballast of a rich biblical theology. Each one covers the best part of the small double-pages and can be read in a couple of minutes. So often as Christians we can be tempted to think that our experience must be one of either sorrow, or joy. But Scripture teaches us we are to expect both. These two coexist in the life of a Christian. If you’re struggling to pray or read the Bible because of the season of life you’re in, then this might be the perfect way back to dwelling on God’s word. Perhaps it could be a gift for a friend who is facing upto despair or sadness. In the dark valleys of brokenness, it is all too easy to feel that our struggle or misery somehow makes us sub-spiritual, unwelcome at church and unable to bring such emotions and situations to God. Tumbling Sky is a companion for such times, ultimately helping us to trust that God of our Lord Jesus Christ is pursuing us with love through every one. You can pick up a copy of Tumbling Sky from the publisher here. Competition Time: If you would like to win one of three copies of Tumbling Sky: Psalm Devotions for Weary Souls, then all you need to do is share a link to this post on Twitter or Facebook, accompanied by the hashtag #tumblingsky Three entries will then be selected at random on 5pm on the 31st January 2018, and these winners will be contacted through the social network they have used. Full disclosure: The publisher sent me a free copy of this book, but I hope this is still a fair and honest review. Especially because I put my own pennies towards the initial Kickstarter version!